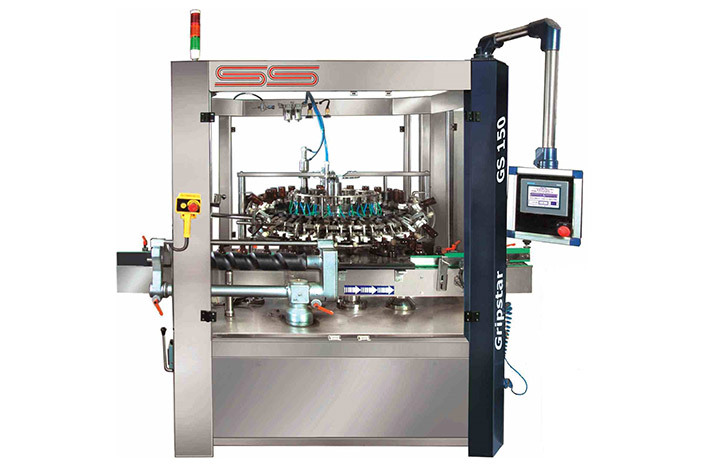 Gripstar is a fully automatic rotary bottle rinsing and is ideal for all types of bottles with wide area of application. Bottles will be transported to rinsing section by means of infeed worm and star wheel. Special neck grippers are used to hold bottle to turn it upside down so that the bottle is inverted on the centre of the rinsing nozzle. The bottle is positioned in a way that it sprays at exact centre of the bottom to ensure uniform rinsing.